Where will your Abbey Jacket take you? 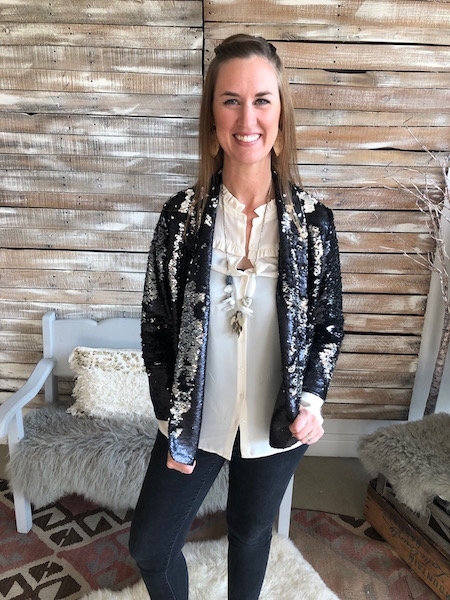 Anywhere is possible, because this festive and glittering jacket should come with tickets to any party in town. 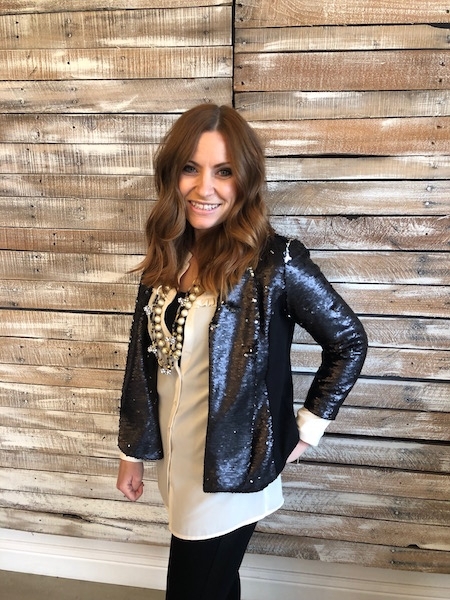 The sequins adorning it are two-sided and reversible; black matte on one side and shiny silver on the other. It features tonal ponte knit side insets, and is fully lined with chiffon. 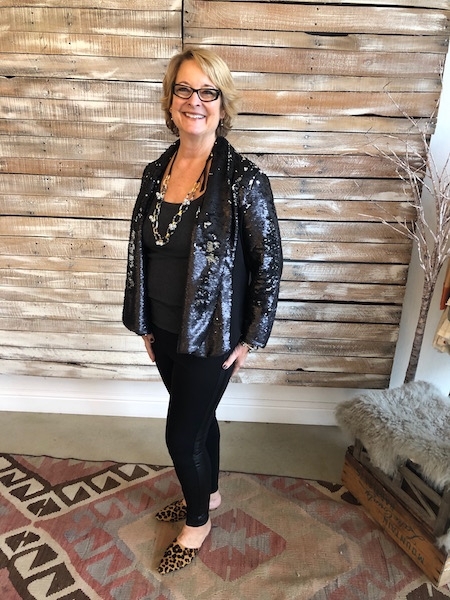 The front lapels drape with the cinched-in waist make for a modern fit, and the double zipper offers several styling options. As you raise your glass of champagne for a toast, the 3/4 length sleeves will allow for you to show your bling. 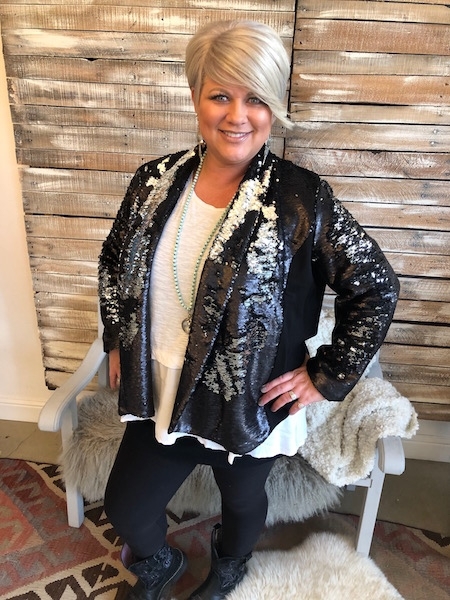 This is the holiday celebration jacket you’ve been waiting for, and it is designed to perfectly pair with several of our other holiday pieces!